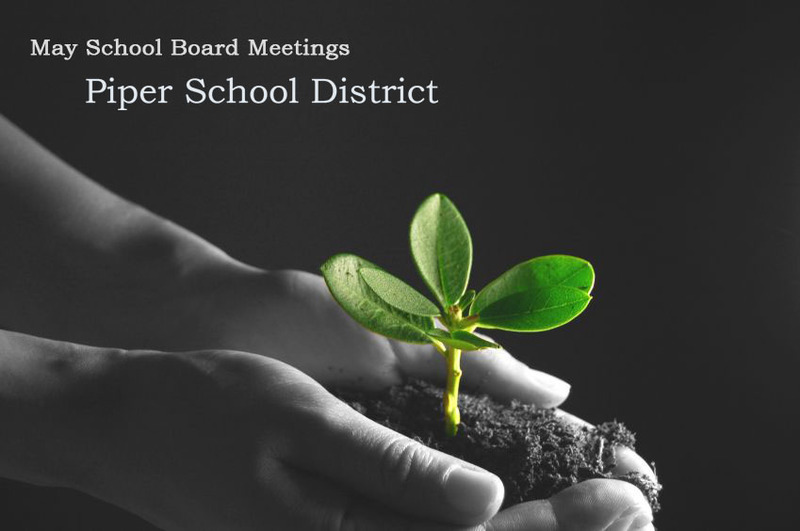 Piper School District’s Board of Education will meet Monday, May 14, at 6:30 p.m. In addition to routine items on the agenda, such as considering an offer to mow district property for hay and reviewing bids for a food service management contract, board members will discuss asking voters to approve an additional $3.8 million in school bond debt. According to district administrators, school bond funding is needed to pay for classroom space to make room for a growing number of students. Plans are for the addition of six rooms at Piper East Elementary School and four at Piper High School. During last month’s board meeting, members learned the proposed additions could cost somewhere in the range of $3.5 and $6.5 million. Because the facilities committee is proposing the sale of $3.8 million in school bonds, the district has evidently decided they can do the job on the lower end of this scale. Expanding existing buildings to make room for 400 students is a short-term solution, because projections show the district will need space for 1,000 seven years from now. The long-term solution would be building a new school, but a $55 million price tag makes that option unrealistic given current economic conditions. Student enrollment in the district has grown from 1,320 a decade ago to 1,726 last year, according to information from the Kansas State Department of Education. School bonds are a form of debt for districts similar to mortgages for home owners. Ordinarily Kansas limits the amount of debt districts can take on. When Piper sold $7 million worth of school bonds in 2009, the district obtained permission from the state to exceed the debt limit, according to information from the Electronic Municipal Market Access site operated by the Municipal Securities Rulemaking Board. If district voters approve the school bond sales, property owners will pay higher taxes to cover the costs of this debt. For example, the owner of a $100,000 house would pay somewhere between $1.13 and $1.89 a month in additional property taxes.